Michael Henry Brill is the Principal Color Scientist and Manager of Science and Technology at Datacolor in Lawrenceville, NJ. Since obtaining his Ph.D. in physics at Syracuse University, he has carried out extensive theoretical research in color in human and computer vision, in geometric/photometric invariance, and in physics-based vision. He is co-inventor of the Emmy-Award-Winning Sarnoff vision model, and co-author of the VESA Flat-Panel Display Measurements Standard. Dr. Brill is also a Past President of the Inter-Society Color Council, and author of more than 80 refereed technical publications, 12 U.S. patents, numerous national standards, and a SID test pattern. He has chaired or co-chaired four conferences on color technology, vision, and digital display. In addition, he obtained the 1996 Macbeth Award from the ISCC for his work on color constancy. 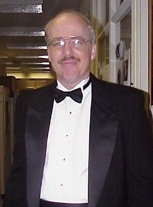 Dr. Brill is an Associate Editor of Physics Essays, a member of the Editorial Board of Color Research and Application, and chairs ASTM Subcommittee E12.04 (Color and Appearance Analysis) and also CIE Technical Committee TC1-56 (Improved Color Matching Functions).